I have my samsung champ last year. Its the cheapest touch screen in the market last 2010. They say its a good entry level but eventually somebody sell to me an apple 2G that caters to the decision to let go of my samsung champ. Although this New entry level addition to the samsung touchscreen category didn't have ads yet I still believe by thru word of mouth this phone will hit the market big. The Samsunf Champ 2 also known as C3330 has a little improvement. 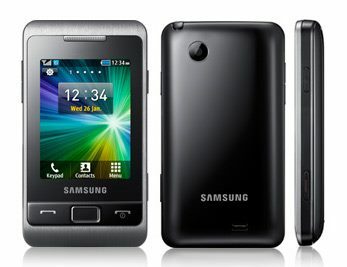 with its display of 2.4" resistive touchscreen and its camera with an upgraded Megapixel of 2MP. Although now the casing and appearance of this champ2 is more elegant compare to the first one. The only problem I'm looking at is the lack of Wi-fi connection. As we all know every establishments we have here in manila are WI-fi zone to attract customers to go and visit the mall. So a Samsung champ2 user still rely on the GPRS in order to use its embedded twitter and facebook plugins.